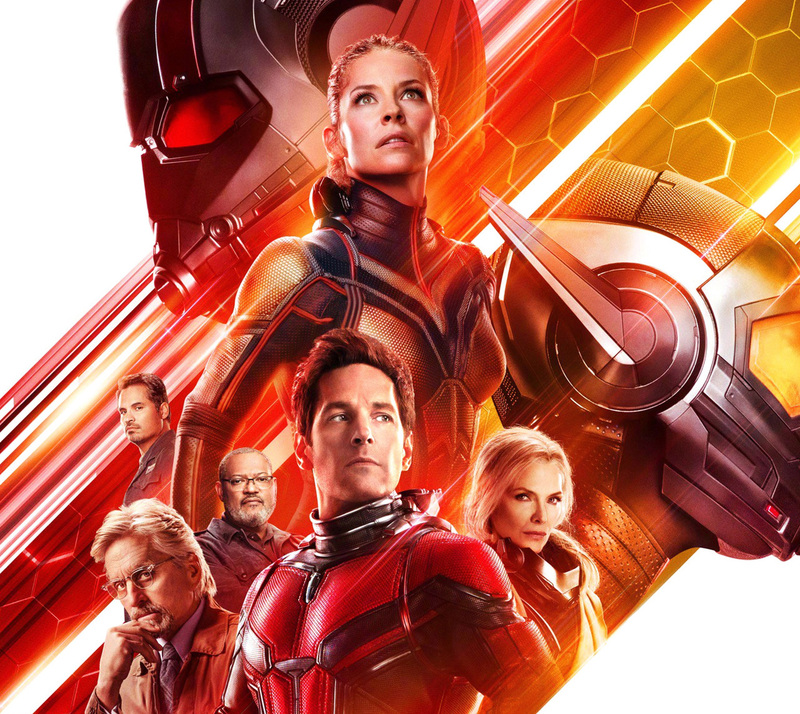 Reality Check: The quantum world of 'Ant-Man and the Wasp' – AiPT! It might be even weirder than you think. The whereabous of Janet Van Dyne, the original Wasp, in the first Ant-Man movie were so mysterious, it was even a plot point. In the sequel releasing this weekend, Ant-Man and the Wasp, our heroes delve deep into the “quantum realm” to find her, and as weird a place as it is, the truth of the tiny might even be stranger than fiction. But we didn’t always know that. When we first started to really understand atoms, how they’re put together and what they look like, we imagined them like little solar systems — the electrons revolved around the nucleus like planets do around the Sun. That couldn’t have been true, though. An accelerating charge like an electron (acceleration is just a change in velocity, which is itself dependent on direction — anything moving in a circular path is by definition accelerating) should lose energy, and thus the negatively charged electron would spiral into the the positively charged nucleus within 0.00000000002 seconds. So, no atoms at all. Neils Bohr decided that must mean electrons can only exist in particular, stable “energy levels,” and the mathematics would bear that out. Ideas of circular orbits would give way to spherical “valence shells,” and now we understand that electrons actually surround the nucleus in a series of bizarre, three-dimensional shapes. Maybe! Another simple fact of life obliterated by quantum mechanics is the old, obvious determinism of Isaac Newton — events have causes. Inherent in every particle’s Schrödinger wave equation (yes, named after the cat guy), is a “probability function,” meaning that nothing’s really for sure, and while it’s likely you’ll find that electron around the nucleus, there’s a distinct, non-zero chance it might actually be, oh, somewhere beyond Saturn. But that doesn’t mean just anything is possible. In this week’s Ant-Man and the Wasp #3, Nadia van Dyne shows off a new power of her very smallness when she splits into all the different future possibilities, so she can find the most successful one. Through the famous “observer effect,” though, all those possibilities collapse pretty quickly when interacting with something else. So the dice-rolling nature of the quantum realm doesn’t allow for weird things like psychic powers, like some people want to think, the same way you won’t find a thrown baseball out beyond Saturn. Neurons and baseballs are too big to be very affected by wave equation weirdness. Wait, what’s all this about “waves”? Aren’t we talking about particles? Yes. Both. One of the first indications that something screwy was going in the world of the very small was a version of Thomas Young’s “double slit experiment,” originally performed in 1801 by sending light through a pair of slits to produce an interference pattern, proving its wave nature. As it turns out, though, you can do the same thing for particles, as shown by two experiments done with electrons in 1927. The crackpot idea that particles could behave like waves was cooked up by Louis-Victor de Broglie three years previously, when he developed an equation to determine a particle’s wavelength. It’s still in use today, and the wavelengths of a particle are typically very, very small. If that all sounds like a bunch of sci-fi junk to you, you’re not alone. Einstein himself hated quantum mechanics and railed against its probabilistic nature until the day he died. But we know it’s true for the simplest reason of all — it works! Quantum computing, a field still in its infancy, takes advantage of those multiple possibilities (formally called superposition) to perform calculations thousands or even millions of times faster than a digital computer can. So before you scoff at the silver screen science as being outlandish, remember — the real stuff is pretty wild, too!